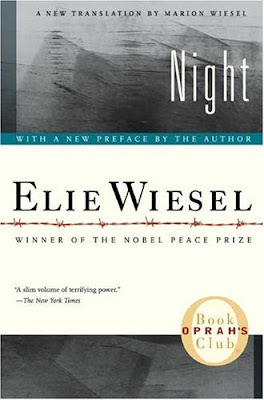 I am super interested in The Holocaust, so I was really excited to read this book. It was a true story written by Elie Weisel, a Holocaust survivor. The tragic tale of his awful journey really opened my eyes to the horrors of the Holocaust. The book is an amazing memoir, filled with tragedy and despair. Absolutely worth reading.